A new gadget promises to make the iPhone's videos cleaner, brighter and steadier. Disappointed with the quality of your iPhone’s video capture in low light? It can be difficult to capture a night-time scenes on the iPhone thanks to its weak built-in lamp and a lack of ergonomic grip. A new gadget promises to make the iPhone’s videos cleaner, brighter and steadier. It is the DLC iPhone LED Grip Kit. Fitting to your Apple iPhone 4, 4S and possibly other models, the LED Grip Kit comprises a secure bracket, telescopic handle and an LED lamp. 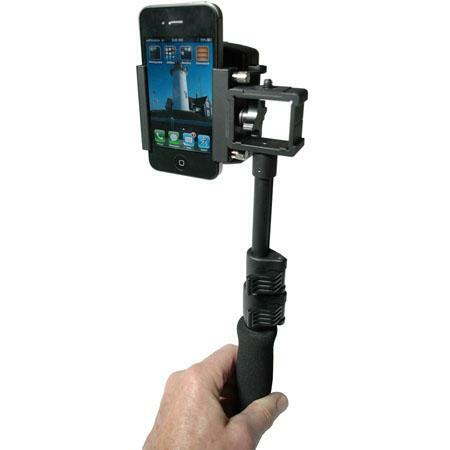 Combined, they can make it easier to hold your cameraphone during video capture. The 40 LED panel, powered by six AAA batteries, provides much-needed extra illumination in low light environments. The battery life is said to be around one hour and the colour temperature is claimed to be 5600K. The Grip can hold your iPhone in either vertical (portrait) or horizontal (landscape) orientation, and features a threaded socket at the base of the handle for mounting to a tripod. So, a useful accessory, or a waste of money? Do you want something like this for your cameraphone? Share your thoughts with us in the comments. 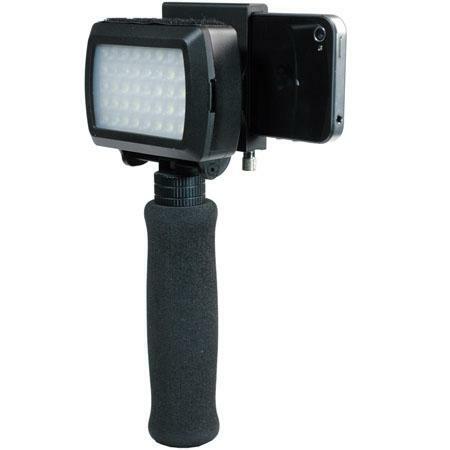 The DLC iPhone LED Grip Kit is sold at Adorama for US$79.95. 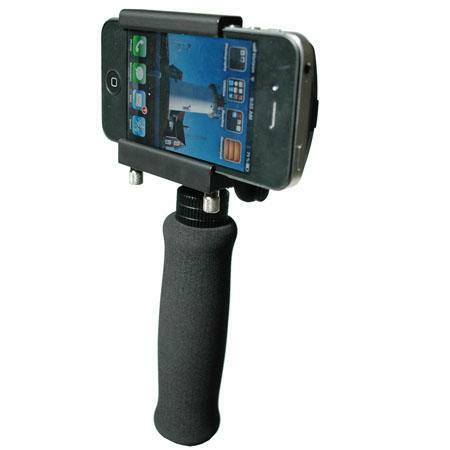 It is part of Adorama’s iPhone Toolshed of accessories for “iPhoneography”.